The Meet the Candidates Traveling Exhibit is back for the 2018-19 school year! 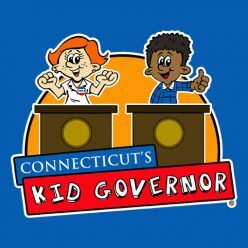 For a second year, we’ve created this traveling exhibit to highlight the students who ran for Connecticut’s Kid Governor this school year and their platforms. Each exhibit panel showcases a candidates or nominee for CTKG and highlights their community issues, their three-point plan, an explanation of why their issue is important, and a brief bio. 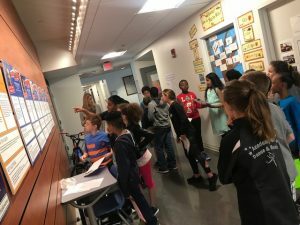 This year’s exhibit features 13 student panels and accompanying lesson plans to inspire students of all ages in your school to be active, engaged citizens. Last year’s exhibit visited 12 schools across the state and was seen by an estimated 4,500– will your school be a stop this spring? To request the exhibit, email Jacob at Jacob.Orcutt@KidGovernor.org. 4th and 5th grade students exploring the Meet the Candidates Traveling Exhibit at CREC Discovery Academy in Wethersfield. CTKG Meet the Candidates Traveling Exhibit Fact Sheet– Information about the exhibit, its contents, and how it can be displayed. 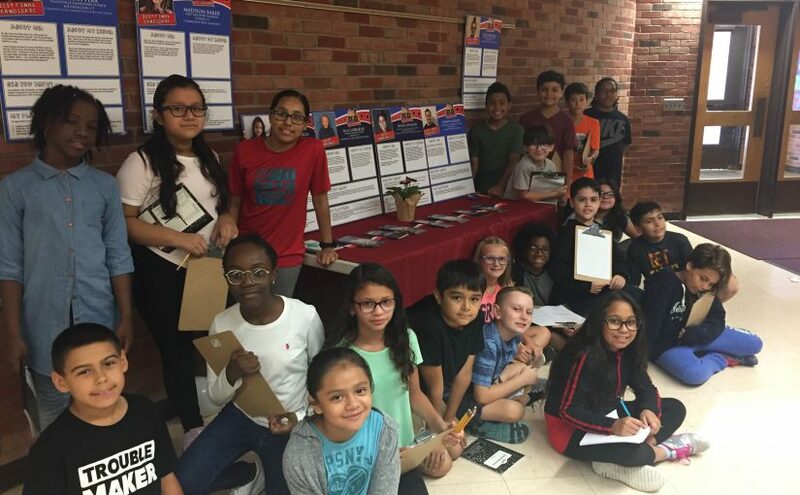 CTKG Meet the Candidates Traveling Exhibit Lesson Plans– Schools who host the exhibit will also receive two civic action lesson plans that teachers of all grades can use in conjunction with the exhibit. CTKG Meet the Candidates Panels– Whether the traveling exhibit is coming to your school or you just want to inspire your students, all of the panels are at your fingertips!